SKU: ABBABS0N1L. Category: KIDS CLOTHING, ONESIES. 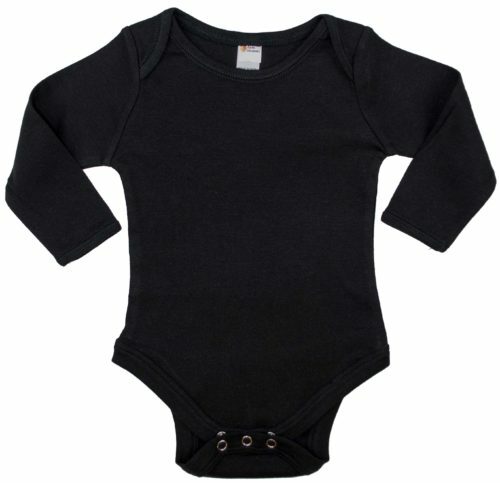 1×1 Rib – Long Sleeve Onesie (Bodysuit) – 34 Single, 100% Ring Spun Combed Cotton, Heather (93% Cotton & 7% Viscose). 5 thread neck & sleeve binding , double needle stitch binding at bottom. 3 snap buttons at bottom. White is stitched with cotton thread.